I recently had the pleasure of being Todd Liebenow’s guest on his Forgotten Filmcast podcast. I jumped at the opportunity to select a Warren William film, and even though we weren’t able to do my first choice (Employees’ Entrance), settling on The Mind Reader wasn’t too great a hardship! The podcast runs about 45 minutes and can be accessed through various links in the post at Todd’s site, Forgotten Films. 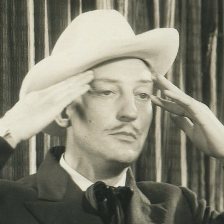 I wrote about The Mind Reader on this site back in 2012, but since I watched it another couple of times (okay, three) and took another whole set of notes I decided to post about it again over at Immortal Ephemera. You’ll find that new post HERE. You may be surprised to learn that I’m not counting this little bulletin as my annual post at WarrenWilliam.com. No, I’m actually going to have something else coming to this space soon! Shadows and Satin and Pre-Code.com host the Pre-Code Blogathon between March 31 and April 3. 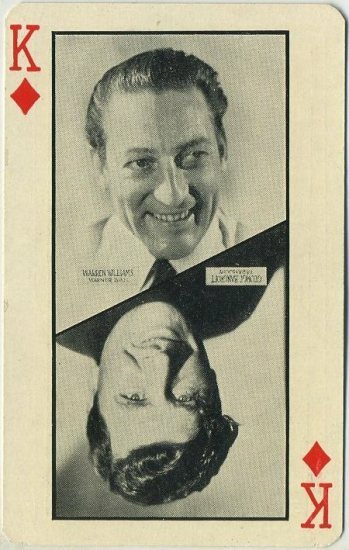 I was feeling ambitious, so in addition to signing up to write about George Bancroft in Blood Money (1933) at Immortal Ephemera, I also reserved Warren William as a subject with plans to post a biography about him here, on WarrenWilliam.com. I can’t believe this site has been up since 2007 and I’ve never posted a biography, which is probably what most people want the first time they happen by here. Now I’m not planning a super-lengthy post, but I do plan to hit all of the key points about Warren’s life and career in (hopefully) about 2,000-2,500 words. Look for that in this space on March 31. Interest in Warren William is at an all-time high. John Stangeland’s excellent (and long overdue) biography “Warren William: Magnificent Scoundrel of Pre-Code Hollywood” is a constant seller on Amazon with a 100% approval rating, his tribute site “WarrenWilliam.com” has been going strong for many years, William’s films are shown frequently on Turner Classic Movies (TCM), and your Archive has released many of his other films already. The four titles I suggest are the most requested by his fans to be released on DVD. I’m sure if you look at your sales figures for some the previous sets featuring William, for example; “Perry Mason Mysteries: The Original Warner Bros. Movies Collection” and “Forbidden Hollywood Volume 7” (which contained two of Williams most coveted films “Employee’s Entrance” and “Skyscraper Souls”) you will see that there’s a market for the four films I suggest, which are the last of his Pre-Code stardom successes unavailable on DVD. Secondly, do you have any info on the short ” Things You Never See On The Screen (1935)” that TCM is showing on March 20th (@ 1:04pm EST)? Or you could toss in my name instead of the “the,” either/or. I edited your email address out of this comment–trust me, you don’t want all the spam that that invites! Looks like that’s a blooper reel playing on March 20. John, permission granted at all times, thanks! — I just wanted to be sure no one would confuse the site author with the book author and vice versa. John’s book is a massive effort and I never want to impinge on or adapt any of the credit he deserves. Thanks, John. Saw this was coming—key titles for Warren—only downer is that Volume 10 is going to be the final “Forbidden Hollywood” collection from Warner Archive. That said, they’re still going to be releasing individual titles. Academy Award winner George Sanders (All About Eve) is at his wicked best in The Private Affairs of Bel Ami, based on the novel Bel Ami by Guy de Maupassant and directed by Albert Lewin (The Picture of Dorian Gray). The opportunistic, womanizing Parisian journalist Georges Duroy (Sanders), known to the women who love him as “Bel Ami,” uses his charms to climb the ladder of Paris society while discarding those whose usefulness has run its course. Using those around him to further his aspirations, Georges will find in his friend and former fellow soldier, Charles Forestier (John Carradine,The Grapes of Wrath), a benefactor whose kindness he’ll reward with betrayal. The women who travel in and out of Georges’s life include Charles’s wife, Madeleine (Ann Dvorak, Flame of Barbary Coast), the beautiful and blinded-by-love Clotilde de Marelle (Angela Lansbury, TV’sMurder She Wrote) and the lovely young heiress Suzanne Walter (Susan Douglas, The Outside Chance of Maximilian Glick). Director Lewin (Pandora and the Flying Dutchman) weaves a compelling tale of love and deception in The Private Affairs of Bel Ami, co-starring Warren William (Strange Illusion), Frances Dee (Mister Scoutmaster), Hugo Haas (King Solomon’s Mines), Albert Bassermann (Foreign Correspondent) in a film photographed in silky black & white tones by Academy Award winner Russell Metty (Spartacus). Available on DVD and for the first time ever on Blu-ray.